Telangana State Electricity Payment Online or by App: telangana limited (TSNPDCL)'s northern power distribution company has launched its own mobile phone application to promote cashless transaction. It shows the initiative of the Northern Power Distribution Society to facilitate the payment process.It is the good news for the people who are usually rounds around meeseva centers and electricity bill counters and stand ion long queues to pay their power charges every month. With the aim of reducing the burden on consumers, northern power distribution companies to facilitate the bill payment process. For this purpose, it has developed an exclusive mobile application. When downloading the application from the Google Play Store, he can pay the power bill via the smartphone and skip the possibility of visiting the nearby TS Meeseva centers and Telangana State electricity calculator counters. Download the TSNPDCL / NPDCL app from the Google Play Store. Then enter your e-mail and phone number to register. Then you will be taken to the app's home page. Then choose the option you pay your bill. Then enter your code, ero code and consumer number. Later, it is asked for the type of payment, i.e. Debit card / credit card / net banking. Then choose your payment method and proceed with the payment. Then you will receive a conformation message about your registered mobile phone number. On each invoice, Rs.2 is charged additionally. 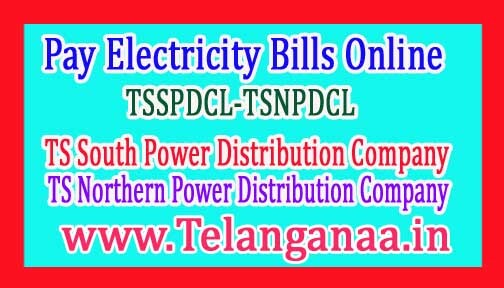 Pay your telangana state electricity bill @ official TSSPDCL website link:https://www.tssouthernpower.com/CPDCL_Home.portal?_nfpb=true&_pageLabel=CPDCL_Home_portal_page_705(Or) Download tsspdcl Android app from Playstore. You can also pay by debit and credit cards and Paytm.